March 2019: NRA Indoor Precision Pistol Sectional. Click this link for the results. June 2019: NRA Outdoor Conventional Pistol Tournament. Click here for the match program. August 2019: NRA Outdoor Conventional Pistol Tournament. Click here for the match program. 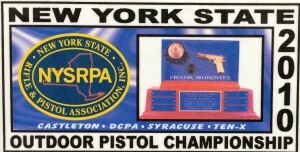 September 2019: New York State Outdoor Conventional Pistol Championship. September 2019: Civilian Marksmanship Program EIC and .22 Distinguished Match. March 2018: NRA Indoor Precision Pistol Sectional. Click this link for the results. June 2018: NRA Outdoor Conventional Pistol Tournament. Click this link for the results. August 2018: NRA Outdoor Conventional Pistol Tournament. Click this link for the results. August 2018: Civilian Marksmanship Program EIC and .22 Distinguished Match. Click this link for the results. September 2018: New York State Outdoor Conventional Pistol Tournament. Click this link for the results. September 2018: Civilian Marksmanship Program EIC and .22 Distinguished Match. Click this link for the results. September 2018: NRA Distinguished Revolver Match. Click this link for the results. January 2017: 3rd Annual Icebreaker “1800” Match. Click this link for final results. March 2017: NRA Indoor Precision Pistol Sectional. Click this link for final results. June 2017: NRA Outdoor Conventional Pistol Tournament. Click this link for final results. August 2017: NRA Outdoor Conventional Pistol Tournament. Click this link for final results. 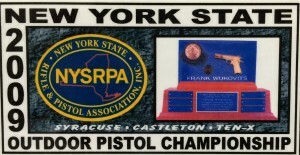 September 2017: New York State Outdoor Pistol Championship. Click this link for final results. September 2017: CMP “EIC” Tournament. Click this link for final results. September 2017 CMP .22 Distinguished Pistol Tournament. Click this link for final results. September 2017: NRA Distinguished Revolver Tournament. Click this link for final results. March 2016: NRA Indoor Conventional Pistol Sectional. Click this link for final results. June 2016: Outdoor Conventional Pistol “2700” Tournament. Click this link for final results. 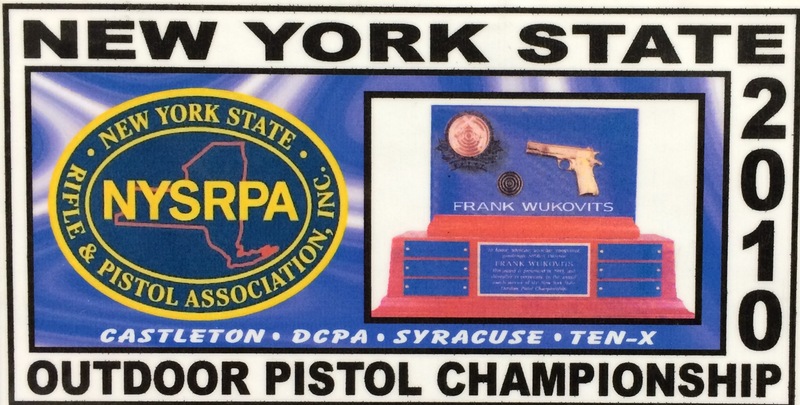 September 2016: NYS Conventional Pistol Championship. Click this link for final results. September 2016: CMP “EIC” Tournament. Click this link for final results. 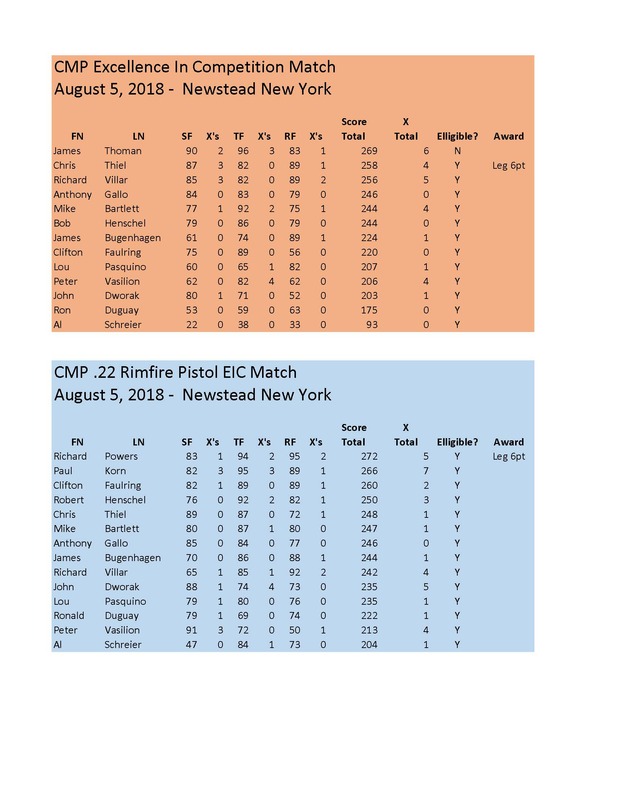 September 2016: CMP .22 Distinguished Pistol Tournament.Click this link for final results. September 2016: NRA Distinguished Revolver Tournament. Click this link for final results. 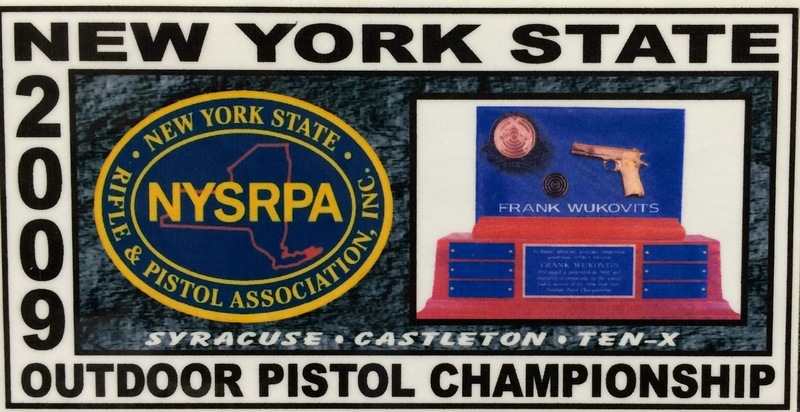 September 2014 NYS State Championship Results, Including DR & EIC Matches.